Luckily, the answer is yes! 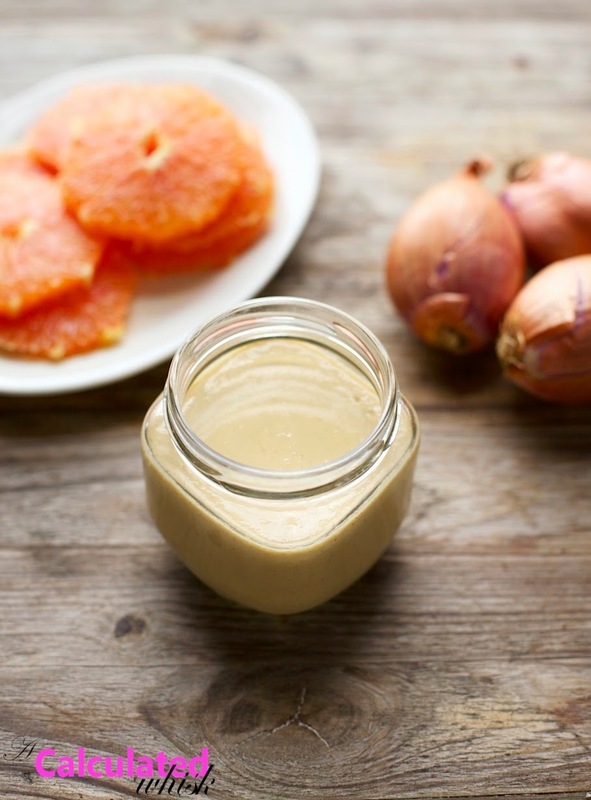 This dressing is delectably creamy thanks to the walnuts, perfectly sweet from just the oranges, and wonderfully savory thanks to the shallots. After I made it, I kept sneaking spoonful after spoonful as I made the rest of the salad. It’s so good. 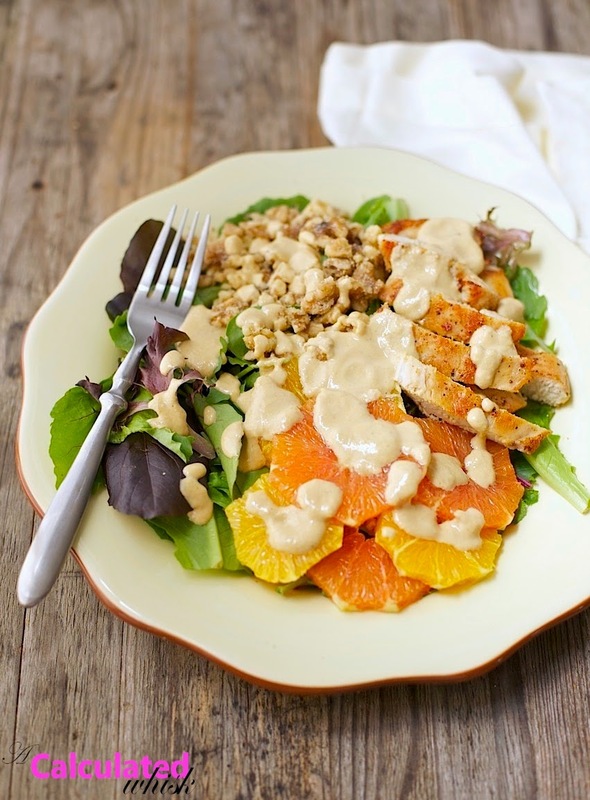 Even though I love the dressing plain, it’s even better with some spring greens, pan-seared chicken, orange slices, and toasted walnuts. This salad is the perfect way to transition from winter to spring, and eat a bunch of healthy food while you’re at it. *To toast walnuts, toss them in a dry skillet over medium heat for 5-7 minutes, or until slightly darker and fragrant. **I used one regular orange and one Cara Cara orange, but we had some orange slices left over. To prepare the oranges as shown in the pictures, slice the orange crosswise into 1/4-inch thick wheels, then lay each wheel flat and make small cuts around the edge to trim off the peel and most of the pith, forming an octagon shape. To make the dressing, combine all ingredients in a two-cup measure and process with an immersion blender until smooth (or puree in a food processor or regular blender). Taste and add more salt, pepper, or vinegar as desired. To make the chicken, heat two tablespoons of ghee or coconut oil in a large skillet over medium high heat. Sprinkle the chicken with salt and pepper on both sides, and place the chicken pieces between two pieces of parchment paper. Use a meat tenderizer or rubber mallet to pound the breasts to an even thickness, making them as thin as you can. When the ghee or oil is hot, add the chicken and cook, turning once, for 10-20 minutes, depending on the thickness, until well-browned on both sides and no longer pink in the middle. Let the chicken rest for 5-10 minutes, then slice into strips. 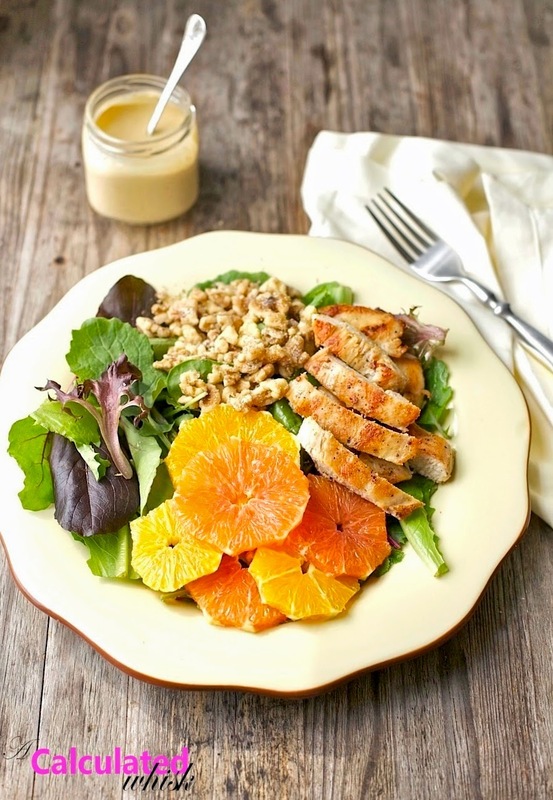 To assemble the salads, divide the greens between two or three plates, and top with walnuts, chicken, and orange slices. Drizzle on dressing to taste and serve. I love the way this plate looks … yum!! That dressing looks SO wonderful!!! My go-to paleo ingredient these days is ghee (I love that stuff). **not an entry*** Just to say happy blog birthday; I don't know hoe blogger even do it! I love Banana it's my favorite thanks!! I love meat. All kinds of meat! (And I enjoy using strawberries in salads). Strawberries are great in salads! Pasta is my weakness! It's the food I miss most, since I try not to have any gluten these days. 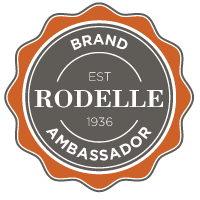 I love avocado, too, Debi! Happy Blogiversary!!! This salad is gorgeous and I love that you thought to add the walnuts to give it the creamy texture! Avocados, but of course. I put them atop my chili! It must be Spring, salads are everywhere! This looks amazing! 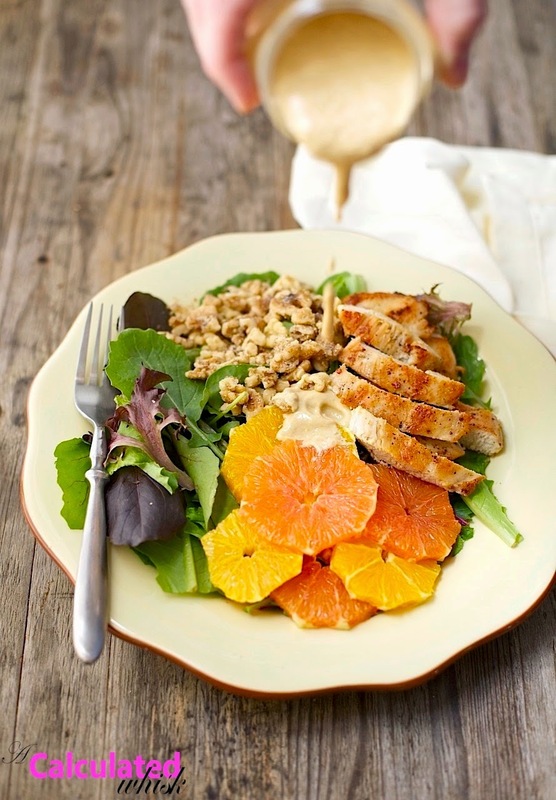 I usually put berries into my salads, the orange slices will also give them a nice light flavour. Berries would be great in a salad like this, too! Me too! Do you have a favorite way to eat them? I LOVE them on chili. I love almonds, so I try to incorporate them into meals whenever I can. They're great by themselves! Yes, they are! Lately I've been making a little trail mix with almonds, dried cranberries, dark chocolate chips, and a pinch of sea salt–it's so good! I love all shrimp , so I put a few cooked shrimp in my salads or whatever! I LOVE cilantro, too–by far my favorite herb. I just picked up sweet potatoes to make hash, so I will have to try adding cilantro to it! Happy birthday to your blog Becky, I hope there are many more years to come. What a gorgeous looking salad, I love the pairing with the dressing you chose…I'm pretty much the same, either lemon and olive oil or a vinaigrette style dressing because I"m always too lazy, I think I'll have to try this though, it looks yummy….my favorite Paleo ingredient is coconut oil, I put that stuff in everything, I had loved it way before I knew anything about Paleo so I was so excited when I decided to start eating real food and turned to Paleo….I love to spoon it on frozen cherries for dessert. Thank you, Samantha! I love coconut oil, too. I've never tried it on frozen cherries, but have had them with a little coconut milk on top and it's delicious! Happy 1st Birthday and well done! What a delicious looking salad! So healthy and tasty!